Our Malls & Plazas create value through intensive, and efficient strategic management programs as well as diverse offerings which will perpetually improve the overall shopping experience of our patrons. With a collective focus centered around creating destinations tailored to the needs of the communities in which we serve, the aim is to establish a mall experience like no other that reflects the ambiance and innate feeling of the local community. To ensure our vision is achieved, we believe in the absolute importance of creating shopping malls and community centers that blend design, a mixture of retail offerings and other leisurely activities, all within reach of the residing community of respective cities and locales. Our business is based on strategic and solidified long term relationships. We are proud to say that our management team is well known and respected among the local and regional business retailers who are constantly changing their community for the better... and we aim to be a part of that change. 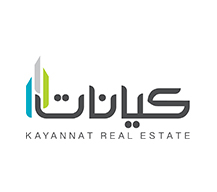 Kayannat Real Estate Company is a limited liability company that was established in 2012 with its headquarters in Riyadh, Saudi Arabia and has an investment capital of over SR 1Billion. The company specializes in developing shopping centers and in their ownership, operation and management. 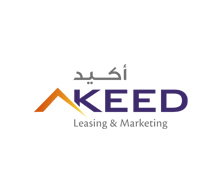 Akeed’s is an exclusive property management company delivering fully customized plans and optimal environment for property development and management. After a through research and ground work that precedes each of our project we deliver fully customized solutions at the following categories – Leasing, Property Management, Analysis, Repositioning, Stabilization, Master Planning and Development of Retail-based commercial Real Estate. We completely apply ourselves to each of the projects, making end-to-end solutions for your real estate and associated services.